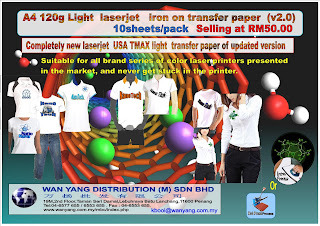 A4 120g Light laserjet iron on transfer paper (v2.0) 10sheets/pack use with household iron or hot press machine. 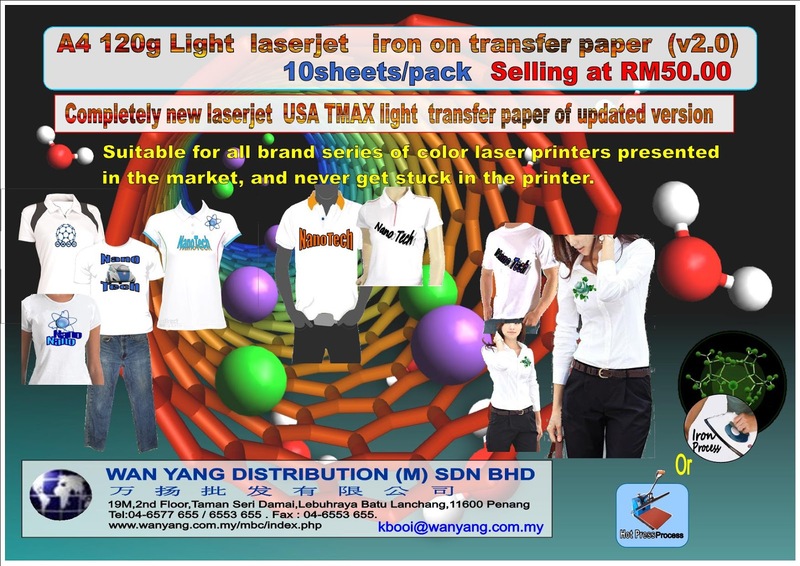 Completely new laserjet USA TMAX light transfer paper of updated version appears on the market with glory. Be suitable for all brand series of color laser printers presented in the market, and never get stuck in the printer. ·Apply nano-scale production technology, fulfilling fibrosis memory coating in the middle coat of transfer paper, which makes lines after transferring nearly in accordance with fiber pattern. After printing, it makes ultra thin touch feel, super soft feel and comfort and breathing come true. 3) Good quality and image output.